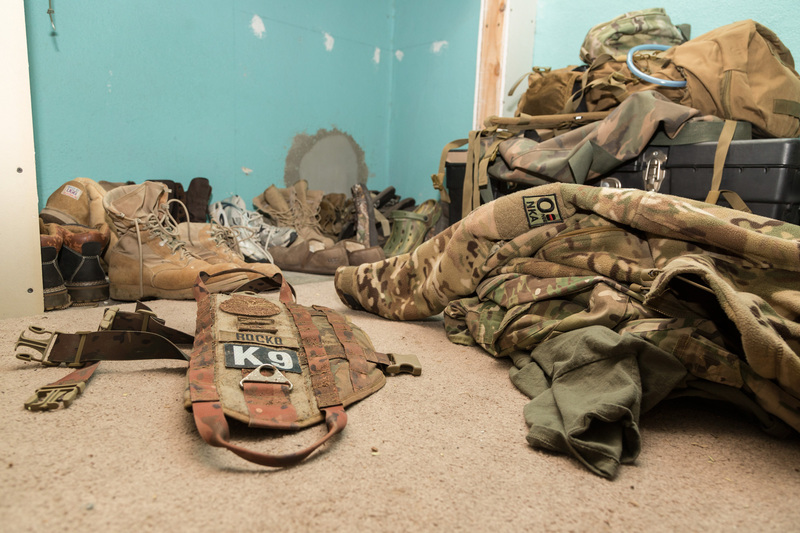 Tim Foley's bedroom floor, he himself a military veteran, alongside the majority of Arizona Border Recon's volunteers. Sgt Rocko's vest, labeled "K-9" waits on the floor until their next patrol. Sasabe, Arizona. March 8th, 2017.